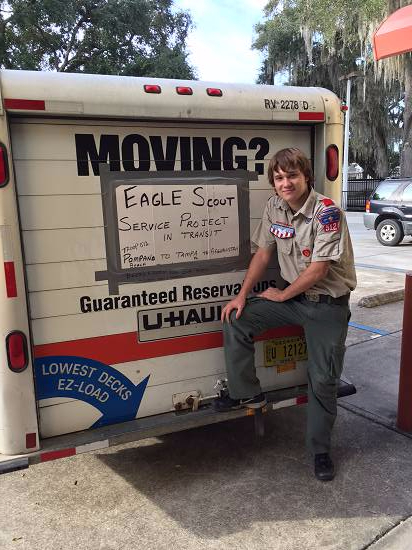 Jeremy, Troop 512, completed his Eagle Scout Project by collecting donations for the military troops serving overseas. He was able to collect and donate 212 large boxes of care package goods for the troops, worth $112,000.00! On behalf of the active duty troops and their families we thank the American people and SOT’s Patriotic Partner® companies for their support which was clearly evident in 2015. Support Our Troops delivered over 98% percent of its resources to program goods and services for the troops, their spouses, and their kids. October saw the completion of calculation the 2015 financials, completion of SOT’s annual independent audit, and Return filing, and the results made one proud to be an American. 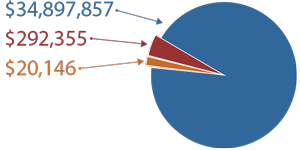 The financials demonstrate organizational efficiency combining with highly effective programs to yield great impact — 98% average to program goods and services to the troops, their spouses, and their kids CY2013 - CY2015. Illinois Army National Guard Sgt. Wesley Todd of La Porte, Indiana, invented a device that improves soldier safety and equipment longevity while working on a light-towed howitzer. Illinois Army National Guard Sgt. 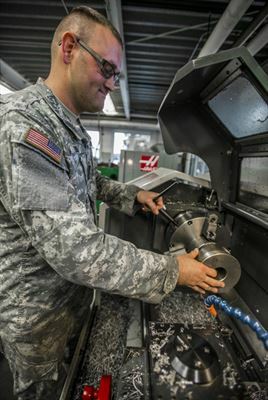 Wesley Todd, of La Porte, Indiana, places his invention that’s used to remove the muzzle break from the light towed howitzer, onto a lathe at the Combined Support Maintenance Shop in North Riverside, Illinois, Sept. 21, 2016. 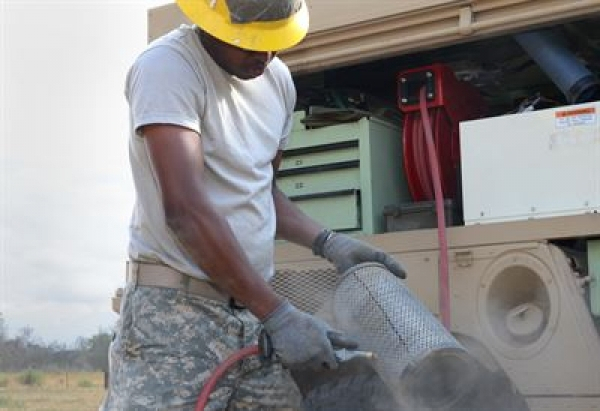 Todd device improves soldiers’ safety and equipment longevity while working on the light towed howitzer. Illinois Army National Guard photo by Staff Sgt. 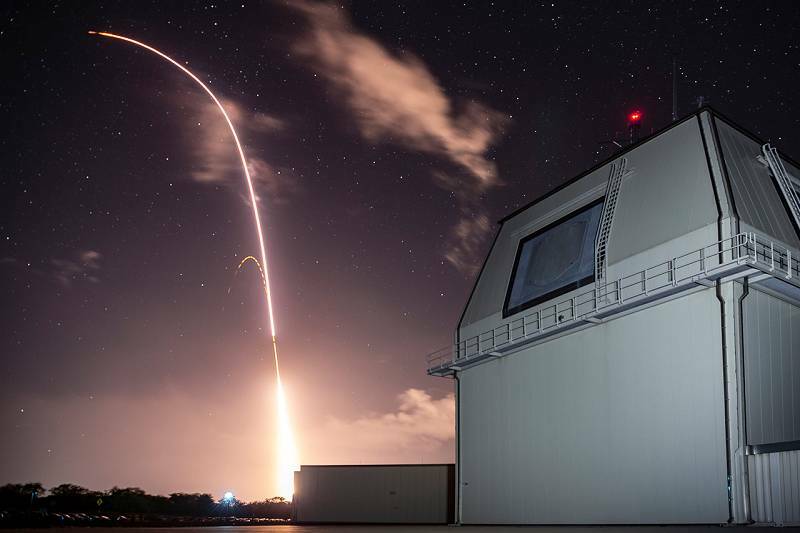 Robert R. AdamsTodd’s idea is being adopted by the entire U.S. Army later this year, and is projected to save taxpayers hundreds of thousands of dollars, perhaps more. “I am shocked that the Army is going to adopt something I designed myself,” said Todd, a noncommissioned officer with the 333rd Military Police Company in Freeport, Illinois, and a military technician with the Combined Support Maintenance Shop at North Riverside Armory in North Riverside, Illinois. “It’s an honor to know I improved the Army in a small way,” Todd said. 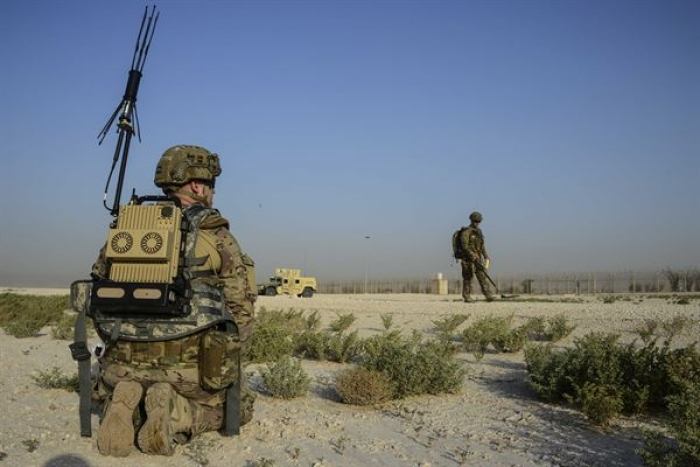 Army Maj. Gen. Richard J. Hayes, the Adjutant General of the Illinois National Guard, said Todd’s invention will affect the Army in more than a small way. 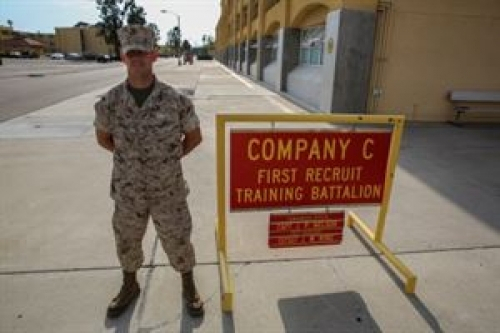 Marine Corps Private First Class Sean F. Evans, Charlie Company, 1st Recruit Training Battalion, stands in front of his squad bay at Marine Corps Recruit Depot San Diego, May 17, 2016. Marine Corps photo by Sgt. Tyler ViglioneMARINE CORPS RECRUIT DEPOT SAN DIEGO, June 09, 2016 — Joining the military is a life changing experience, and reaching the end of a contract can sometimes lead to an emptiness that can only be filled by joining the ranks once again. Marine Corps Private First Class Sean F. Evans, Charlie Company, 1st Recruit Training Battalion here, felt that emptiness since leaving the Army almost six years ago, and believed the Marine Corps was the best way to fill the void. Evans says he was always interested in the infantry. In 2004, at age 18, he enlisted in the Army to become an infantryman. After infantry school, he attended airborne school and then reported to his first unit -- the 4th Brigade Combat Team, 25th Infantry Division, at Fort Richardson, Alaska. Less than two years later, Evans was deployed to Iraq in support of Operation Iraqi Freedom, where he spent a year conducting patrols, executing missions involving high-value targets and cross-training with Iraqi forces. During his tour, he received several individual awards, including the Combat Action Badge. Additionally, his unit received three Valorous Unit Awards, which is the second-highest unit award and is considered the unit equivalent of the Silver Star. It is awarded to units that show extraordinary heroism against armed enemies. AL UDEID AIR BASE, Qatar, June 07, 2016 — A 5-year-old boy stood in front of his kneeling father in a hotel room, the boy weighed down with 50 pounds of tactical body armor. The gear weighed more than the boy. Air Force Tech. Sgt. Kelly Badger, an explosive ordnance disposal craftsman with the 379th Expeditionary Civil Engineer Squadron here, placed his hand on his encumbered son’s shoulder and looked him in the eyes. It was a powerful moment between father and son. EXETER, Calif., June 06, 2016 — In the Kaweah Oaks Preserve here, a soldier stands near his Humvee. He’s about 6 feet tall, and he’s dressed in a brown undershirt, a hardhat and safety goggles. Army Pvt. Rhoen Barnes, a native of Jamaica, is a former soldier in the Jamaican army. Now, he’s a wheeled-vehicle mechanic with the U.S. Army Reserve’s 801st Engineer Company. Roof Deployment Project Hits 111 Cities in 31 States!